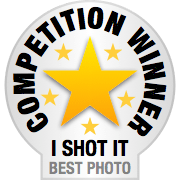 Welcome to my review of my photography project for September, my 8th post in this series (I was in New Zealand for the June one!). My idea was to go back to the basic principles of my blog – to re-visit and get in contact with some of my “Happiness Resolutions” such as ‘be in the moment’, ‘express myself’, ‘showcase the local’, ‘create’ and so on. I also dabbled in some vintage style post-processing – its been so long since I ‘played‘ with my photo processing and I loved it! The intention was to be aware and notice the world around me, to look for evidence of abundance and I guess I did that… many of the images are of the abundance of nature that comes to life in spring and others are simple things that are part of my days, like my son, my daily pot of tea, reading and journaling. My style is evident in these photos – composing to showcase details with close-ups, bold colours, patterns, textures and shapes. This is my default setting, what I’m good at, practised at. It is my comfort zone, and that is perhaps the reason why I chose this theme for this month. It was perfect to portray spring, to celebrate my birthday month and didn’t require too much effort when I knew my work schedule was going to be hectic. Until next month’s review, take care. To read other features in this series, click here to go to the master post.